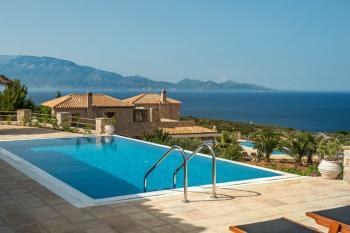 It’s a newly built single storey accessible villa with 2 en-suite bedrooms for 4 persons. 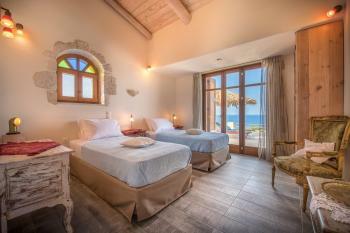 The villa is combining traditional stone house architecture with high quality accommodation. 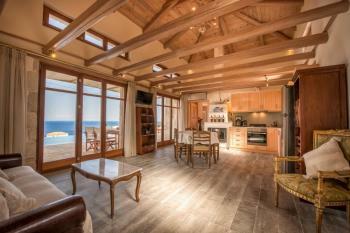 Panoramic views overlooking the vineyard the sea and beyond. 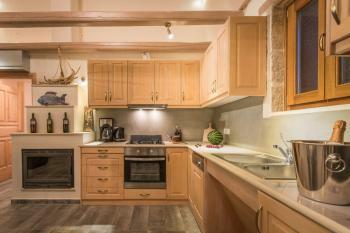 The villa offers both indoor and outdoor di...ning facilities. We are located in the most beautiful and tranquil Northen part of Zakynthos: 30 km from the main town and airport and 2.5 km from the small port of Agios Nikolaos, which connects Zakynthos with Kefalonia (1 hour by ferry boat). 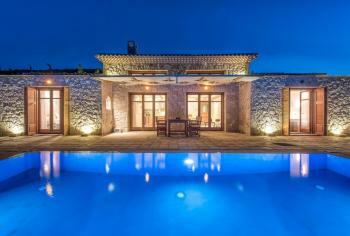 Our four villas are situated on private land of over 40.000 s...qm just above the famous Blue Caves and 20 minutes boat ride to the famous Navagio – the Shipwreck. 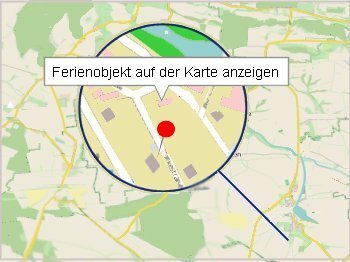 Vermieter ist eingetragen seit 26.01.2016.